The Demand For Cobalt Will Triple In The Next Ten Years? Why will the demand for cobalt triple in the next ten years? 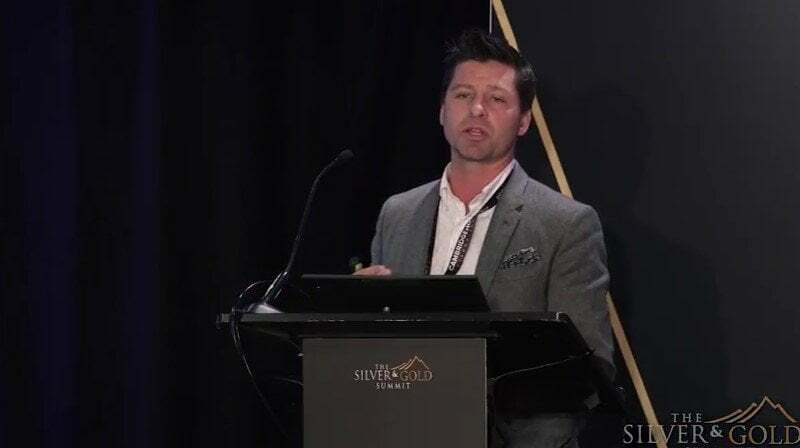 Watch as Mitchell Smith, President & CEO of Global Energy Metals Corp. (GEMC), explains why the need for cobalt in the electric vehicle market will only continue to grow and what that means for investors. The Need For Cobalt Will Triple In The Next Ten Years – Global Energy Metals Corp. So again GLOBAL ENERGY METALS We are Cobalt focused battery mega factories are coming. This is this is no surprise to anybody. Everybody who’s in this room here today understands that electric vehicles are very much real and there’s a transition that’s being put in place into into into that into that sector. Cobalt is something of that’s experienced massive volatility over the last 30 30 odd years. We are right now in a transition point. There’s a battery revolution that we believe is being in the early stages at this point where the price will go. Today. Kudos. However there are a lot of fundamental reasons to believe that it is a strong sector to be involved in and there’s very few ways to be able to get pure play exposure to the battery metals space. Global Energy Metals is one of those. We’re looking at. Cobalt as being a fundamental way to get that investment exposure into into into the battery space into lithium ion batteries and in general the demand for these batteries is expected to grow significantly over the next 10 15 years. Again. We’re looking at an opportunity where it’s going to triple the Cobalt demand in the next 10 years. That’s a staggering amount. Not just from battery space but also from the existing existing metal application for it as well Cobalts used in both battery space and also in the metal application. It’s been very consistent through the metal space batteries exploded. We’re all excited about it. People are getting people are getting really excited on it and there’s an opportunity there. The Electrification factor this is something that’s staggering. It took 16 months 16 months for the first million electric vehicles to be sold. It took only six months for that to go from 3 million to 4 million. Think about that for a second when you think about how quickly that has evolved and the amount of cobalt that goes into each of these vehicles. And there’s no way to get exposure to that. There are very few companies that can offer Cobalt. Like weaker. So we’re looking at electric vehicle sales here 15 million by by 2025 forecasted. What does that mean for cobalt demand. I can go through this it’ll take take a while. But you know I think we can all we can all look at this. The most important part of it is this adjusting. For the cathode chemistry avoiding thermal gate avoiding the situation where the Cobalt is being supplemented out or reduced out of it. It’s a real thing. However the amount of cobalt that’s going to go into these batteries is increasing every single day. 70000 tons of cobalt is going to be required in the next on the battery side within the next year. Major issue the DRC. 65 percent of the world’s cobalt comes from there. How do we secure secondary supply of cobalt from this. Most of the world again supply comes from 66 percent in 2017 it’s projected that by 2025 there’s going to be.